As part of the 2018 Instruct training program, Instruct-CZ organised a course focused on fragment screening. The course three practical work sessions allowed participants to access the biophysical measurements section and the crystal handling/X-ray diffraction section of the Instruct CZ / CIISB CMS core facility. 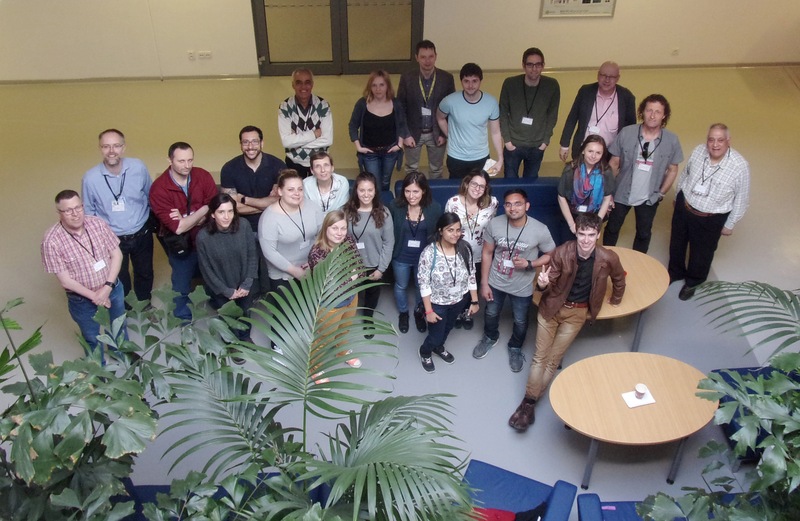 The course started with a talk by Dr Jan Dohnalek, who introduced the Centre of Molecular Structure, the CIISB and Instruct-ERIC, followed by a session of seven lectures which provided a comprehensive introduction to the field of fragment and small molecule screening. Of particular interest were the lectures given by three of the invited international speakers, who have contributed extensively to the field. The practical part of the course (three half days) allowed the participants to acquire practical experience on how to apply fragment-screening techniques to a real case, using endothiapepsin (generous gift of Prof. A. Heine, U. of Marburg). From published work, three fragments were selected for the practical sessions. In addition, an additional three fragments (never studied before) were used during the dry runs for the preparation of the practical sessions. For pre-screening using biophysical methods, the practical work involved both labelled and label-free microscale thermophoresis, and differential scanning fluorimetry. The practical sessions dealing with crystal delivery to a library of fragments allowed crystal handling and transfer using both Intelliplates as well as the Jena Bioscience plates containing a 96-fragment library. The final session (X-ray diffraction) involved data collection using soaked crystals, in-situ data collection as well as the viewing of (difference) Fourier maps showing fragment density. As a further result of the course, fragment screening (using “commercial” fragment screening plates available e.g. from Jena Bioscience) is now offered as a service at the CMS.